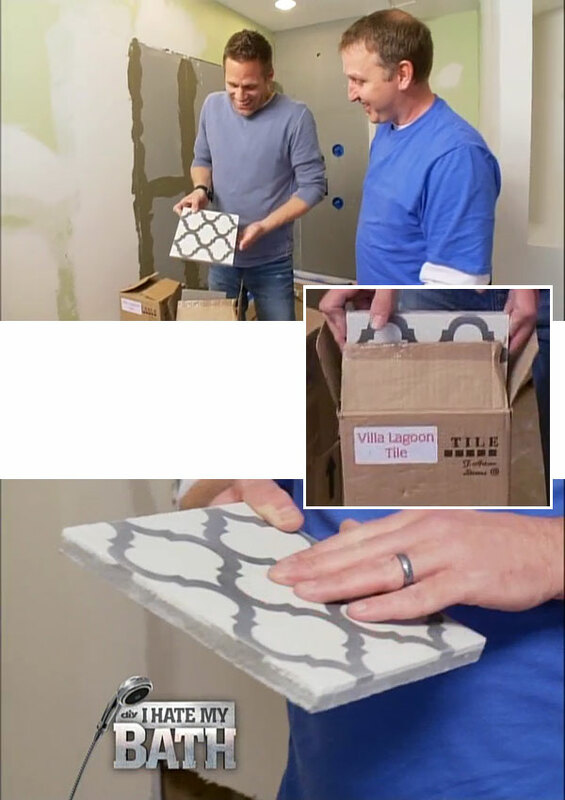 For most of this month, with air dates continuing into September, DiY Network and HGTV have been showing the I Hate My Bath episode, “Pot O’ Gold Bathroom” (Season 2, Episode 3). Contractor and host Jeff Devlin guide homeowners Jeff and Kim through a remarkable bathroom makeover. Their dated and deteriorating green and gold bathroom is completely re-envisioned with modern appointments and an old-world twist. 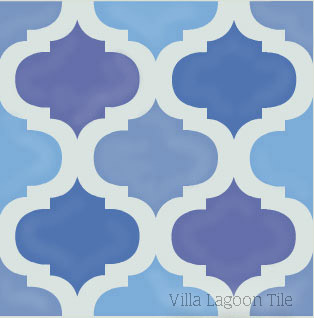 One of the more prominent features was the Moroccan-style cement tile used to surround the shower. 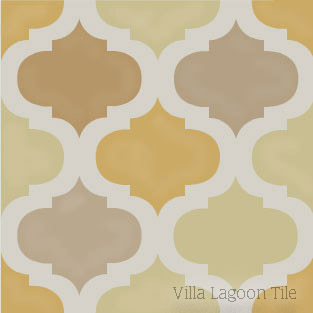 Using Villa Lagoon Tile’s “Salamanca” in-stock cement tile. Jeff helped this couple install a beautiful, luxurious shower featuring high-end fixtures, well-engineered sliding glass doors, and beautiful cement tile. 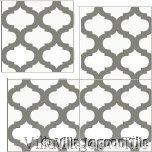 While using the Salamanca pattern for most of the shower wall, they used the complimentary single-color charcoal cement tile to accent the fixture wall, and finish the left-side knee-high wall. 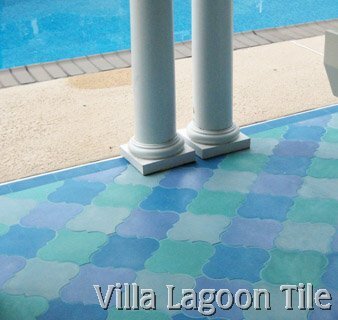 See more from this installation, then give your own project that old-world elegance with cement tile from Villa Lagoon Tile. Not only could you achieve this look, but you may consider custom orders of Salamanca with different colorways.